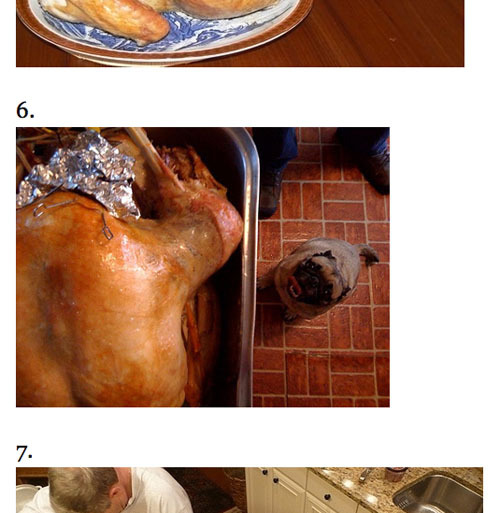 Look at #6 on this list of "10 Pictures of Dogs Lusting After Turkey". That's Oscar in my Grandma's kitchen two years ago, lusting after the turkey my Grandma just pulled out of the oven. I took a similiar picture last year too. I should have taken one this year... it was the same scene really. Are you on the counter to take that picture? What a funny shot. I was holding the camera over my head!